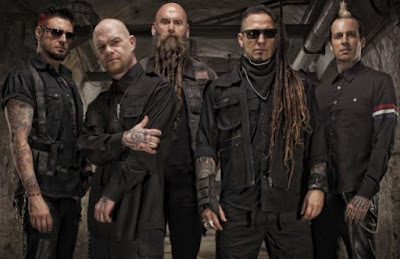 The band stated that Ivan Moody completed a rehab stint, and now Zoltan Bathory has revealed in a new interview with Metal Hammer how the rest of the band is helping Ivan. He said: "You have to change the habits on the road, what happens, what’s on the rider. You have to take off all the alcohol, even mouthwash. It’s about trying to eliminate all of the triggers. He’s been battling his demons, and when you’re in a rock band, it can be really difficult to be on the road." He continued: "If you have any kind of addiction or addictive personality, everybody wants to hang out and party. People are going to come up to you and say, ‘Hey man, let me buy you a drink,’ or ‘Let’s hang out.’ For them, that’s a big thing. They don’t realise that to us, it was the same thing yesterday, and the day before that, and the past 300 days before that. But you don’t want to be rude – it’s just hard for people to understand that."